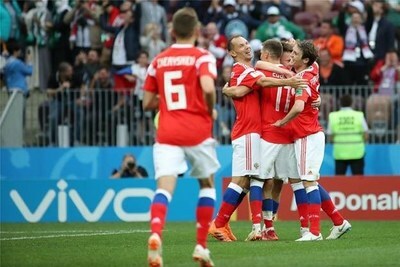 MOSCOW, June 15, 2018 /PRNewswire/ -- After much anticipation, the 2018 FIFA World Cup Russia™ has finally begun at the Luzhniki Stadium with the host winning Saudi Arabia 5-0 in the opener. 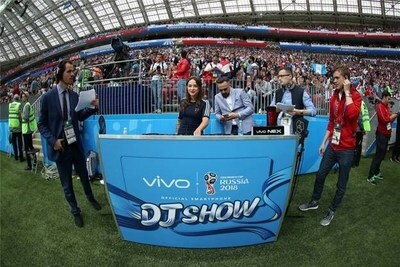 With 63 matches remaining, Vivo, the official smartphone sponsor of the 2018 FIFA World Cup Russia™, is taking the FIFA World Cup™ to new heights, through a series of music and photography marketing activations. 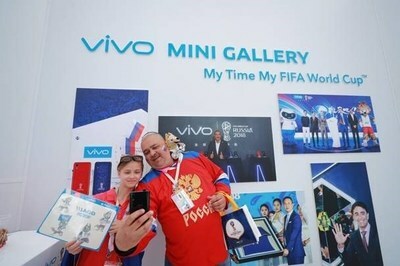 Vivo is empowering fans to be more than just part of an audience, under its global campaign titled, "My Time, My FIFA World Cup™", which comprises Vivo's Super Time project and Vivo Super Fan photographer programme. It calls upon fans to make this tournament one to remember, to be truly extraordinary and fully experience, capture and share extraordinary moments around them through their smartphones. Vivo makes technology exciting again with the all-new NEX smartphone, which are now on display at its brand experience pavilion at the Luzhniki and St Petersburg stadium. With its notch-free Ultra FullViewTM Display which features industry-leading 91.24% screen-to-body ratio, the ground-breaking NEX is packed with new technological breakthroughs, including the Elevating Front Camera, making it immediately recognisable as a truly next-generation smartphone. In addition to its all-new NEX flagship series, Vivo will also have the 2018 FIFA World Cup Russia™ V9 Blue limited edition - a smartphone which celebrates the spirit of the FIFA World Cup, displayed at the pavilion. As a brand that challenges the status quo with next-generation technology and beautiful design, Vivo invites fans to experience the future with new innovations beyond the imagination. The revolutionary Elevating Front Camera redefines how selfies can be captured. As a smartphone that is highly anticipated, ever since it was shown in Vivo's World Cup campaign video, the NEX smartphone shatters expectations to empower users with a smartphone experience like no other. Upon entering the pavilion, fans will have the opportunity to create their own special moments in FIFA World Cup™ history, using Vivo's AI Selfie technology, to capture fun and extraordinary selfies, where they can show support for their favourite teams. Vivo's AI Selfie technology includes several advanced features, such as AI filters, AI Scene Recognition and AI Photo Composition. There are also scheduled DJ performances to hype the crowd and create a celebratory atmosphere before they enter the stadium. 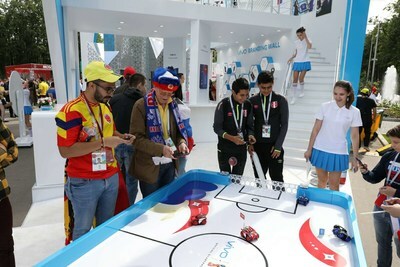 In addition, fans get the chance to compete for a range prizes, including premiums and Vivo smartphones, through activities such as a robot football game powered by Vivo's latest smartphones and lucky draws. 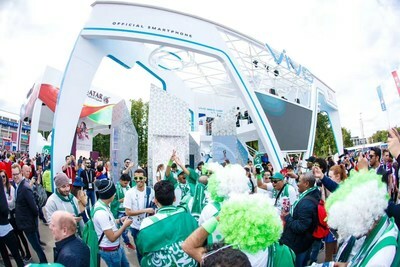 The Vivo brand experience pavilions are located outside the Luzhniki Stadium in Moscow and the Saint Petersburg stadium. 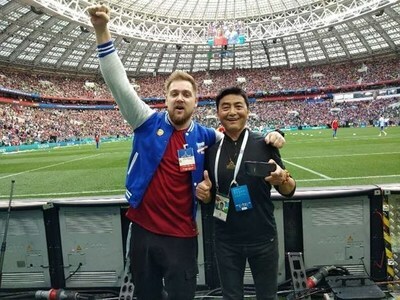 Russian and Chinese Super Fan photographer Sidelnikov Timur and Xiao Quan enjoyed a once-in-a-lifetime experience with unique pitch-side and stadium access, 45 minutes before the opening match. Using the Vivo V9 smartphone with its cutting-edge camera technology, they were able to go beyond being just another member of the audience at the FIFA World Cup™ to capture and share these extraordinary moments up close. They pushed the phone's camera technology to the limit, capturing brilliant and dynamic close-up shots of the players during their warmups. The Vivo Super Fan photographers programme will see 128 football fans, consumers and special guests passionate about photography participating in the 2018 FIFA World Cup™. With a Vivo smartphone, they will document all the extraordinary moments with unprecedented close-up access at the stadiums and pitches and share them with the world.